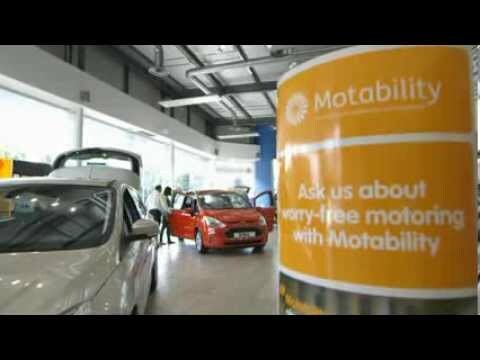 Motability is designed to provide you with a brand-new car without stress, because the whole process is taken care of within the scheme and all you have to do is enjoy the freedom of driving. That's why it's important to choose just the right car from the start. In order to make the right decision, there are several issues which need to be carefully considered, such as the kind of journeys you make most regularly. Factors such as whether your new car is mainly for visiting friends and family, shopping trips, the school run, or travelling long distances, such as on holiday, also need to be taken into account. It's important to consider whether you'll be spending lots of time on the motorway or mainly be making your way through busy town streets. Don't forget essential practicalities such as room for mobility aids, a scooter or a wheelchair, if these are relevant. It's also important to ensure that any car you're considering is easy to operate in terms of gear changes and primary controls. Small features and details can be really important too, such as whether the steering and seat height are adjustable, or the door openings are good and wide. There is so much choice available now that it's worth having a thorough checklist of your priorities before you start narrowing down your options. For example if you're largely going to be driving around town and on busy streets and don't need space for a lrage number of passengers, an efficient supermini or small hatchback makes more sense than an MPV. At Sturgess Leicester we have a huge choice of new models from several quality marques, and over a century of customer service behind us. Take a look at our range of cars available with nil deposit or advanced payments to see the range available for yourself. Whichever car you pick, you will enjoy a worry-free package which includes regular servicing and maintenance over the three years, insurance, breakdown cover and replacement tyres at no extra cost.